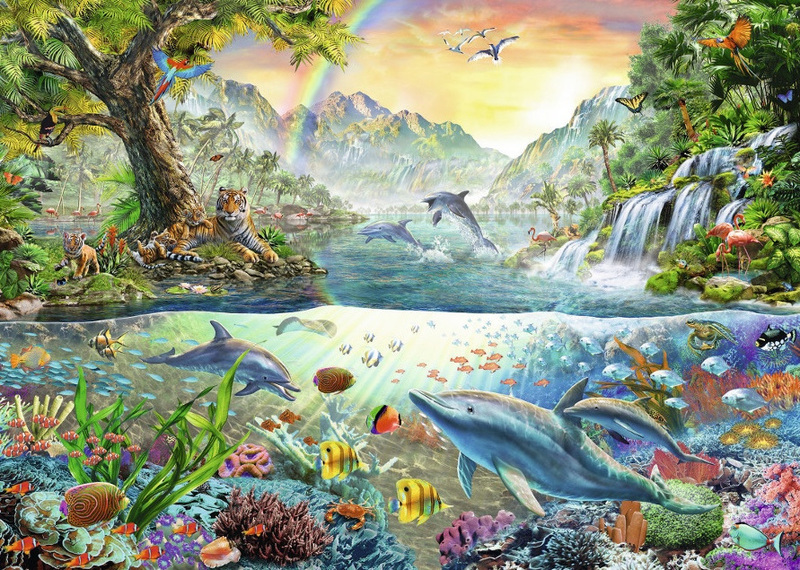 A beautiful, relaxing puzzle of dolphins and tropical fish swimming together amid the coloutful coral. Flamingoes and a family of lions rest on the bank. A delightful puzzle with much detail. 1000 pieces. 50 x 70 cms.